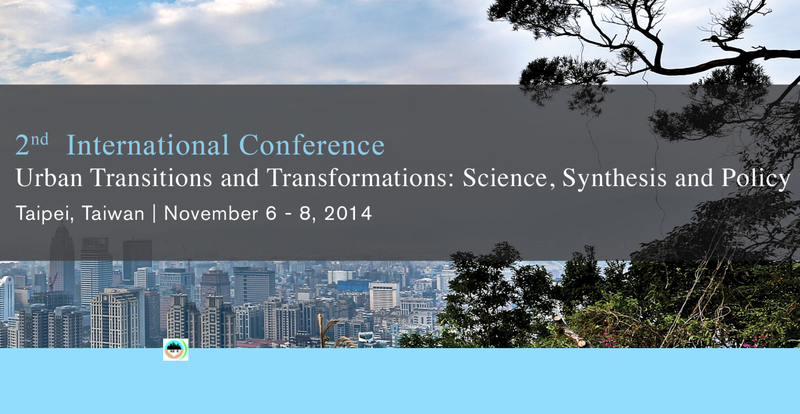 UGEC is organizing its 2nd international conference on “Urban transitions & transformations: science, synthesis and policy” in Taipai, Taiwan, November 6-8, 2014. Well into the Century of the City, this conference asks the central question: How can we capture the benefits and opportunities of urbanization, whilst mitigating the negative effects, in order to sustainably transform our urban future? The cities are the loci for a number of environmental problems including air pollution, greenhouse gas emissions and clean water accessibility. At the same time the cities are centers off innovation, education, collective solutions, education, and economic opportunities. With the majority of future growth expected to take place in urban areas, cities are critical components in the transformations to sustainability. Theme 3: Global environmental change, urban health and well-being. Visit the 2nd UGEC International Conference webpage to get more information. ⇐ Youth: Transformation is Fun!